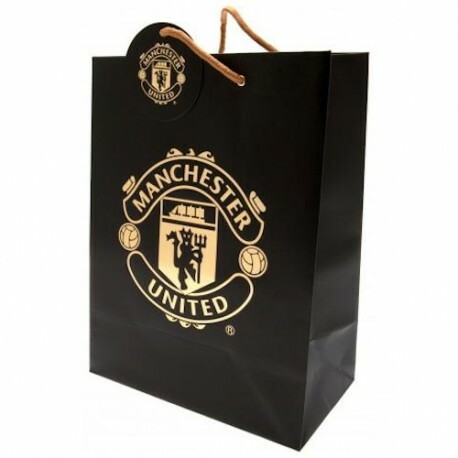 Official Manchester United FC Large Gift Bag with gold foil team crest imprint on both sides. 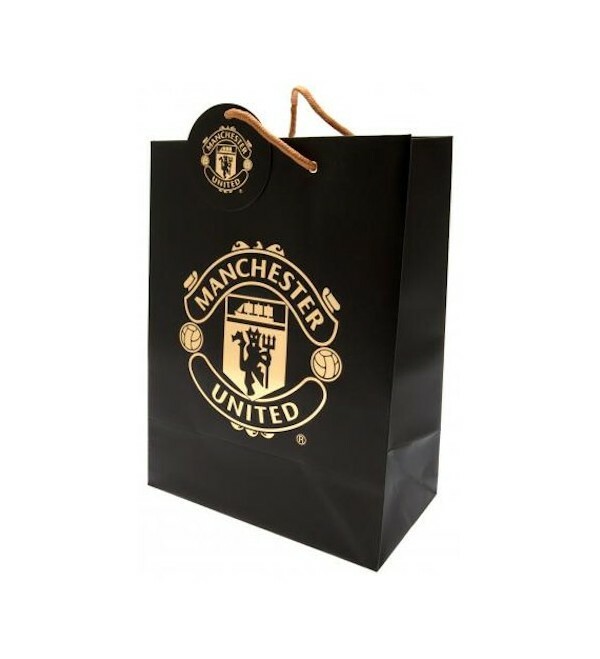 Official Manchester United FC Large Gift Bag with gold foil team crest imprint on both sides. Features metal eyelets, gold yarn handles and team crest on gift tag.